Please note that commentators will primarily speak danish. However their is a possibility to have guest commentators from other countries commentate chosen matches. Write to: philip.butenko@adventist.dk if interested. This dynamic duo provides the best of several adventist generations of sports knowledge and analyses, and delivers it in easily digestive bytes with fun memories, stories, old and new. These two will be live for the opening ceremony Sabbath evening and Sunday for the finishing brackets giving you the deep insights on how to make it at this competitive tournament! Do you think football can be a little stale to watch on its own? Make room for a different Sunday morning brunch talk of the event and hear Sue-Anne and Sarah break down the real important stuff going on in the tournament! Whether it be which team has the most stylish jersey/hair/shoes there is most likely something there for you. Are you unsure of who’s grand kids are now playing on the pitch? or whether or not someone playing has Danish, Swedish, Norwegian or German heritage? Then these two handsome family men are for you! You can be sure that there won’t be a dull moment when they go live Saturday evening shedding light on both foreign and domestic talent, on and off the pitch. Tune in to the tunes on of Emma and Anja when they take their seats at the commentator desk during the live stream. You can be sure this will be a one of a kind experience where song service meets football. 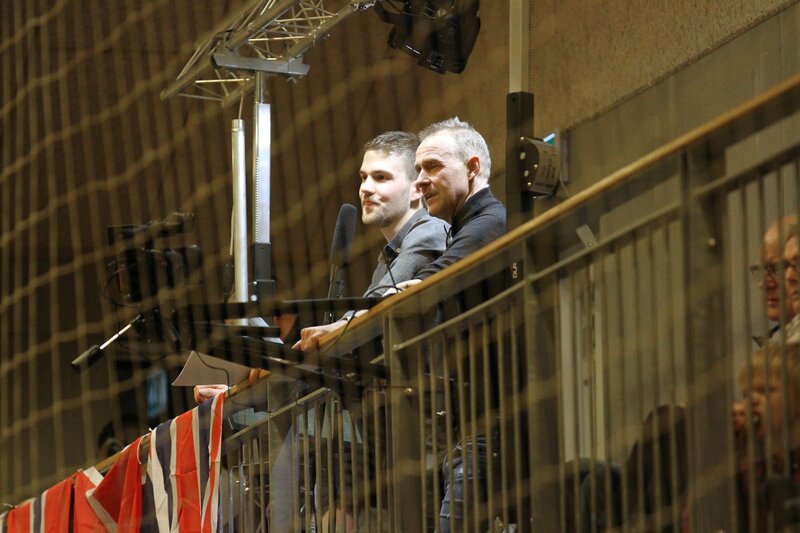 If you ever wondered what it would sound like if danish commentators where actually happy and cheerful be sure not to miss this all new duo during the tournament! More commentators are to be announced.